Caramelize the onions and mushrooms in a pan. I put a teaspoon of olive oil and a tiny pat of butter in the pan to help caramelize it. Cook the chicken any way you want, but I baked mine. 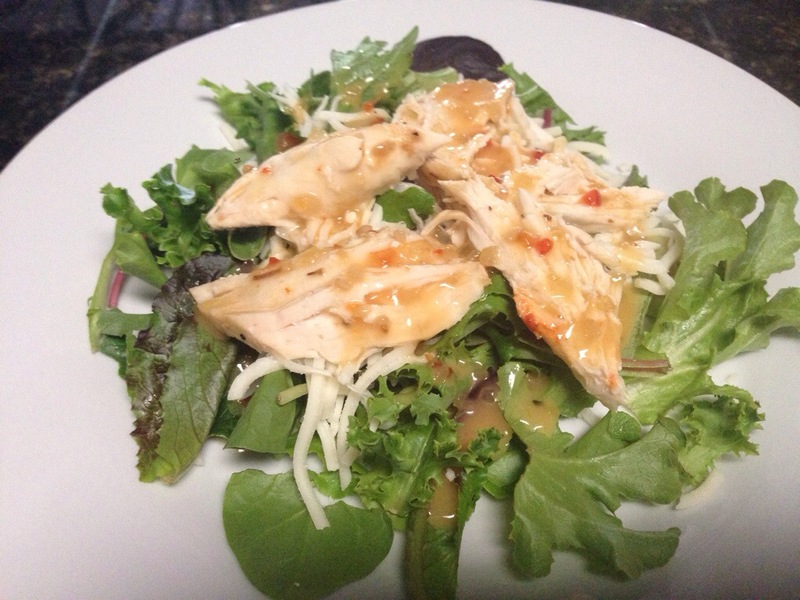 I marinated mine with a little bit of lemon pepper and a little bit of Worcestershire sauce. 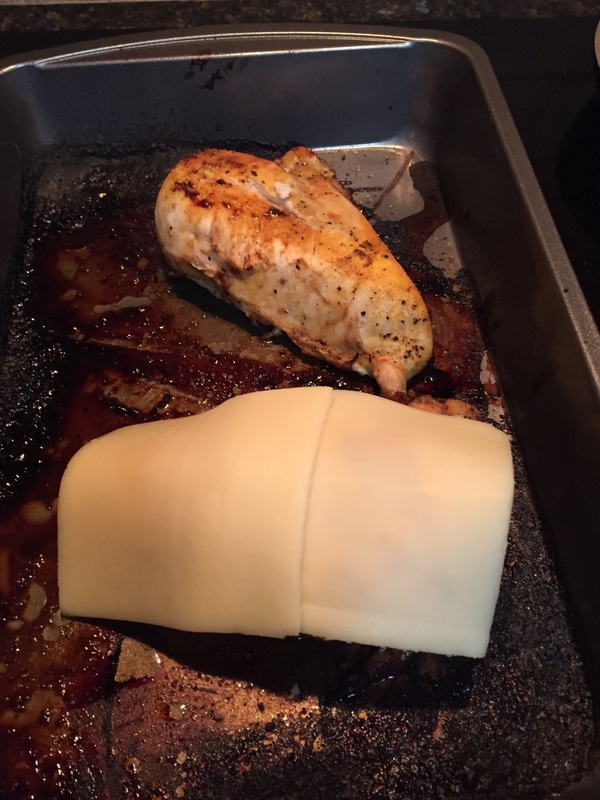 Once the chicken is cooked through, put some swiss cheese on top of it and put it back in the oven for a minute or two or until the cheese starts to melt. Put the chicken on a plate and add the mushrooms/onion mix. 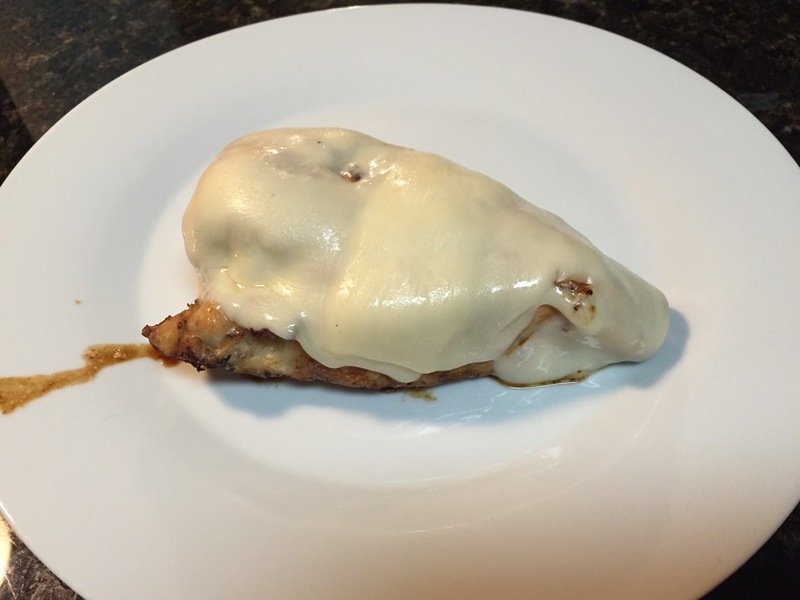 Cover the chicken, mushrooms, and onions with hickory BBQ sauce. I thought my rendition of the Dreamland was just as good, if not better! Yea me!! I am not a very good runner, but I kind of enjoy it. I’ve successfully completed Couch to 5K…several times. I usually quit running right after I get to 5K. This happens EVERY time I start running. My friend and I signed up for the Dallas Half Marathon, but about 3 weeks before the marathon, I quit running on a regular basis. I finished the Half Marathon, but it wasn’t pretty. By the 11th mile, I couldn’t even alternate running and walking and had to walk the last two miles. That’s ok. I still finished and I still got a medal. Of course I said I’d never do another one, but within 3 days, I was already planning to try again. This time I’m going to be in better shape!! My friend found this work out on pinterest. I’m not sure where it originated, but since she did it, I had to, too!! I didn’t think I’d make it through the first time, but I did it!! Now I’ve done it twice!! I’m so proud!! 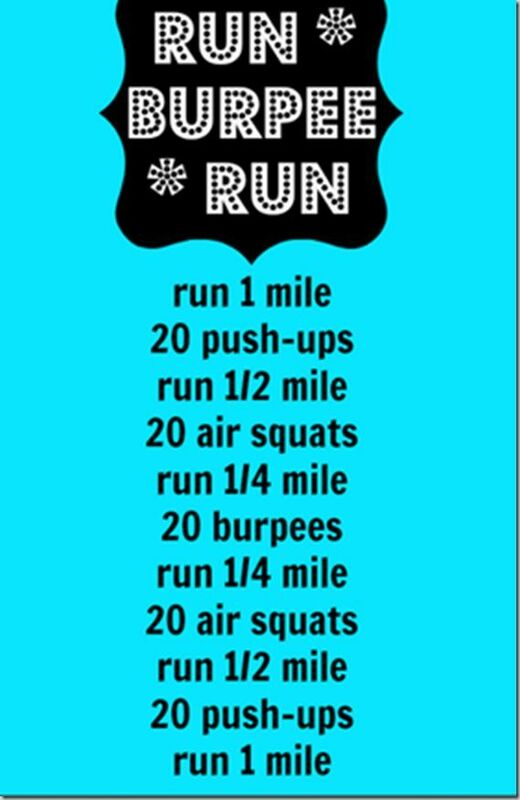 I am hoping mixing it up like this will help me with my training for the Cowtown Half Marathon!! Maybe this will be the year that I actually lose some weight, too!! I started my low carb diet this week. The key to being successful is being prepared. I planned out what I would eat this week and made all my lunches on Sunday. 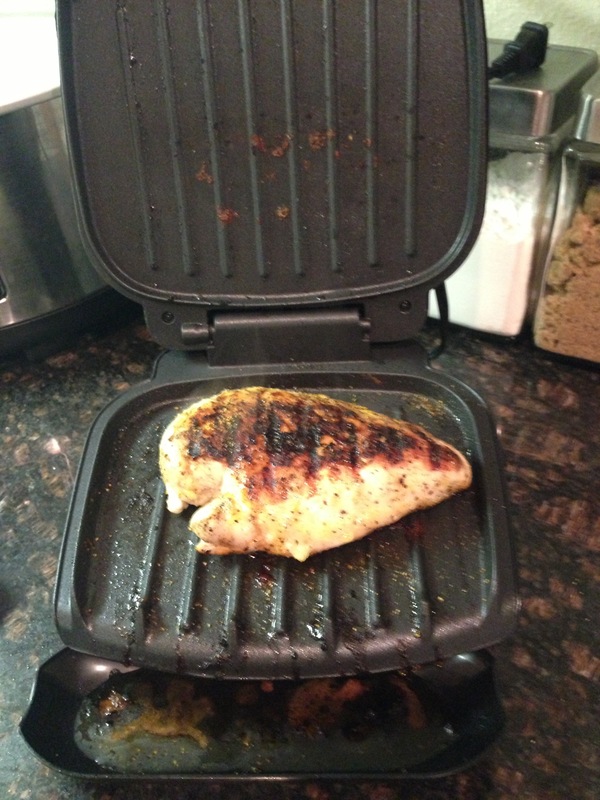 I went and bought a George Foreman Grill at Target so I could have grilled chicken. 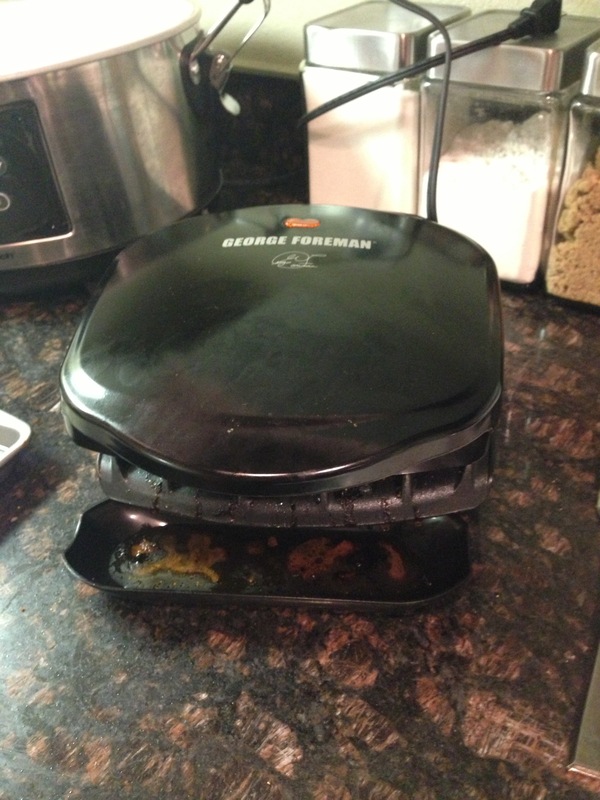 The thing I like best about the George Foreman Grill is that it is built on an angle, so all the fat drains to a little cup that you put at the bottom of the grill opening. So far I have made sausage and chicken on the grill. Both have tasted great! I’m happy to say that the diet seems to be working, too. I’ve already lost 4 lbs! I don’t think I’ll lose that kind of weight each week, but it’s good to get some of that summer weight off!!! 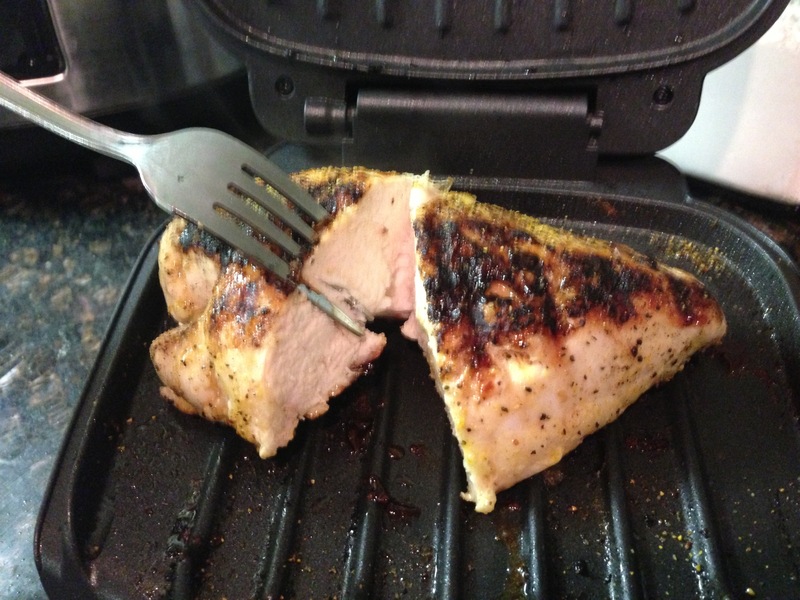 Apply lemon pepper on the chicken generously and put it on the George Foreman grill until cooked!